It is a good idea to get ready in advance before it is time for your loved one to visit with a doctor. Even if it is just a routine appointment, it can be very beneficial to plan ahead and get the most out of it. It is important to keep in mind that your loved one is most likely feeling nervous and anxious about the appointment. It can be stressful for an elderly person, especially if they have ailments that make them less mobile, or mental issues such as dementia. I’m sure they would very much appreciate having someone to be there and assist them for such an appointment. If you or other family members are not able to attend because of work or other appointments, our caregivers at Retire-At-Home Toronto are professionally trained to be helpful and supportive in whatever capacity is needed. We can help with preparation, transportation, and gathering information at the appointment. Here are some tips on how you can prepare for a doctor visit. Make a comprehensive list of all symptoms from most serious to least intrusive. For each symptom, be sure to note how long the symptom has persisted and specific incidents of when it was most troublesome. Make a detailed list of all prescriptions and medications. Include how long each medication has been taken, frequency, dosage, etc. It is a good idea to include any vitamins and supplements you might be taking regularly as well. 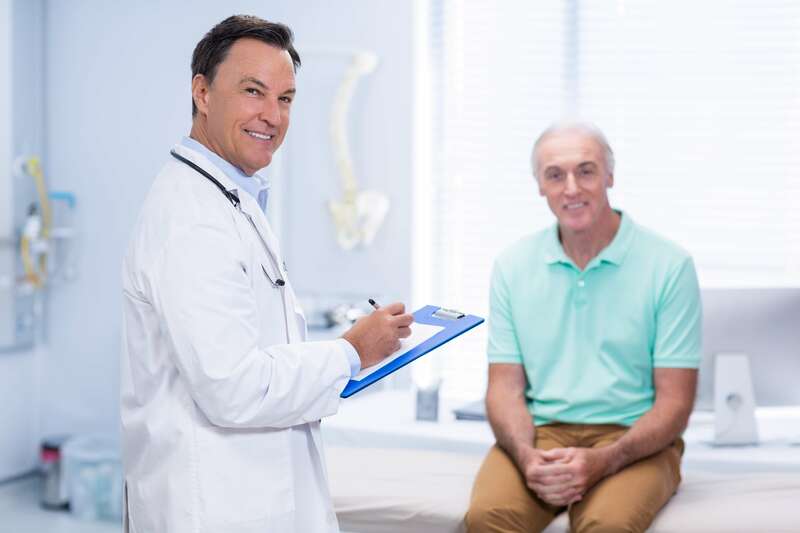 Once you have arrived at the appointment and the symptoms have been presented you will want to ask specific questions about the cause of the symptoms. Be sure to record any instructions given by the doctor so they can be referenced later. If new medications are prescribed, find out exactly what it does and why it is needed. Also, inquire about potential conflicts with current medications. Make sure you are clear on the administration of the medication, such as the dosage, frequency, does it need to be taken with food, etc. Ask about any side effects and how to deal with them. At the end of the meeting make sure you are clear about what should happen next and what follow up is needed. If tests were done, ask when you can expect the results and how to access them. If a return visit is needed, find out about the urgency of the next appointment and what options are available. Inquire about what can be done at home to alleviate symptoms and improve conditions. Are there any recommended exercises or activities that can further the treatment? Are there any activities that are detrimental and should be avoided? Any dietary restrictions? As you can see, there is quite a bit to consider if you want to prepare effectively to make the most of your appointment. Remember to take down as much information as you can, and be sure to clarify anything you don’t completely understand.